Superdry men's Vintage Logo neon lite crew sweatshirt. This lightweight sweatshirt features long sleeves, crew neck and ribbed collar, cuffs and hem. 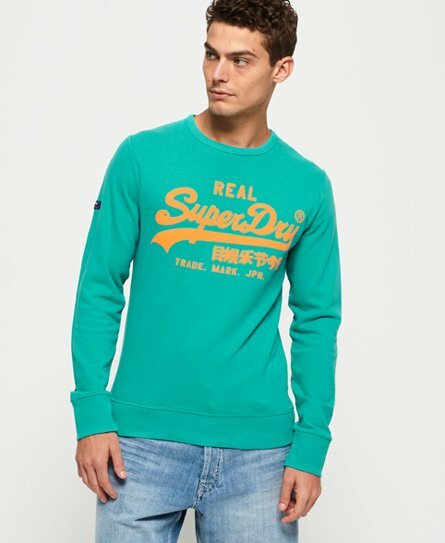 Finished with a textured Superdry logo on the chest and a Superdry logo badge on one sleeve. This sweatshirt is the perfect choice for a fresh and current wardrobe.